Merlot is one of Australia’s most popular reds and Watershed Wines make one of the best. 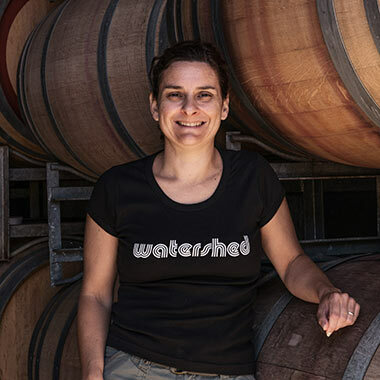 We catch up with Severine Logan, the winemaker behind their 2015 Shades Merlot. Given you’re French and you learnt to be a winemaker in France, when did you fall in love with Australian wine, and why? I travelled to Australia as a young winemaker 23 years ago to just see what was happening on this side of the world. Fell in love with the country straight away and got to love the wines as I discovered the different regions. I loved the fact that viticulturists and winemakers can really be innovative in Australia and are not restricted by tradition and all the rules that go with it. You’ve worked across Australia, what drew you to Margaret River? A love of Chardonnay and Cabernet Sauvignon. The consistency across a number of varieties: Merlot, Sauvignon Blanc, Semillon and Shiraz are also very good across the region. I love the region for its natural beauty and the lifestyle. It’s a great place to grow grapes and also raise our kids. 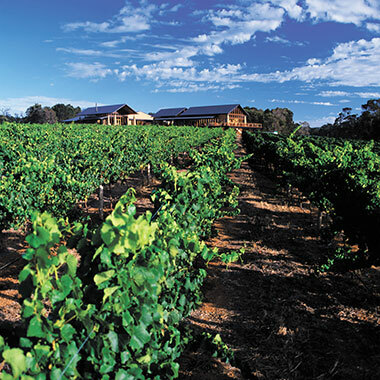 What makes Margaret River such a great place to live (besides the fact it’s ideal for winemaking)? Great temperate climate, good range of outdoor activities (ocean related and others), good schools, very good fresh produce from beef and pork to fish, vegetables fruit, cheeses… A strong sense of community as well. What have been some of your highlights of your time at Watershed? I have been at Watershed for 11 years, all vintages have been consistent with only one a bit more challenging. So that’s a highlight in itself. Winning Best Wine for our 2010 Awakening Cabernet Sauvignon at the 2012 Perth Royal Wine Show was very special. And winning best wine at the WA Wine Show last year with the 2014 vintage of the same wine was incredibly rewarding too. Working with a strong vineyard/ winery team is also a highlight. Watershed is a bit more than just work, it’s also family. The 2015 Shades Merlot is our Wine of the Month for April – what makes this a standout wine? We select special parcels of fruit to go in this wine. Fruit intensity and tannin ripeness is the key to making our Shades Merlot. The 2015 is a good example of Merlot when everything lines up well. Plums, chocolate, some dried herbs, juicy mouth-feel with fine soft tannins. Do you have an all-time favourite wine to make? I love making all our wines at Watershed. This question is like asking: who is your favourite child? Some vintages, we like certain varieties more than others. It all depends on how things shape up in the vineyard and seasonal conditions. I love all wines if they are well made. There are times when I love to drink a dry Riesling from the Great Southern or an off-dry Riesling from Germany. At other times, all I like to drink is a good Margaret River Chardonnay. I love Hunter Semillons, Chablis, Margaret River Cabernet Sauvignon, Tasmanian Sparkling, Swan Valley Chenin, a good Bordeaux, Pinot from Mornington…. I enjoy a wide range of wines from Australia and the rest of the world. That is the best thing about wines, the possibilities are endless. Restaurant? Watershed Restaurant of course!